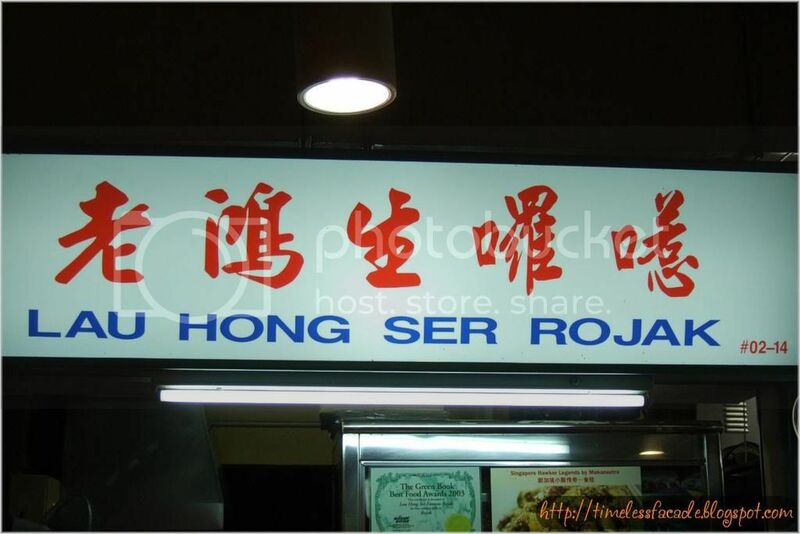 Lau Hong Ser Rojak at Dunman Food Centre has been labeled as one of the legendary hawkers by Makansutra. 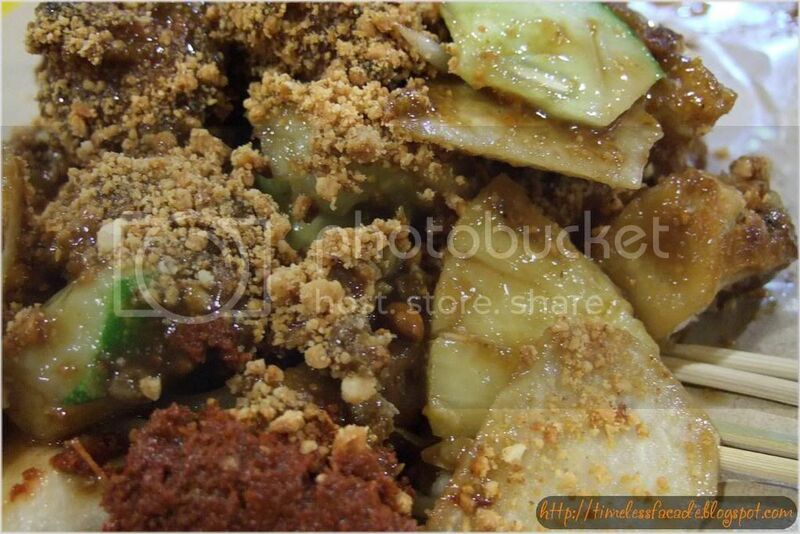 To verify this tag, I made my way to the food centre at about 830pm in the evening to try out this famous Rojak stall. I assumed that it wouldn't be a long wait as there was no one queuing up in front of the stall. Oh boy, was I wrong. The orders had been taken down on sheets of paper and the wait time was a cool 1 hour! Not wanting to return empty handed, I resigned myself to play the waiting game. The owner was nice about it and got me my order within half an hour or so. $3 got me a decent size portion with lots of You Tiao and Tau Pok, which were freshly toasted over the fire, leaving them slightly burnt and very crispy. The shrimp paste used was of superior quality, thick and smooth. I personally like this better than Hoover Rojak at Whampoa Drive Food Centre because of the much bigger portions and slightly better taste. this is my favorite rojak spot. Hello! Thanks for the number. Yes it is the correct phone number. Uncle say try to speak Mandarin as his English is not very good. But his children/grandchildren are there to help with English as well so not to worry if Mandarin is not an option. Thanks alot for your info. I actually tried the rojak blind. Happened to cycle back from ecp n went thr for dinner. Got ah seng wanton mee and this peculiar rojak stall. Just tried for fun and wow I loved it. I didn't know it was that famous. Lucky for me it was a Thursday night at 8+pm so the wait was onlt 10 mins.